Soccer-based interventions to strengthen sustainable combination HIV prevention programs in at-risk South African communities. Skillz Health Initiative utilizes soccer-based interventions to strengthen sustainable combination HIV prevention programs in at-risk South African communities. This one-year partnership between USAID and Grassroots Soccer (GRS) has a total programmable funding of $913,077. Though implementation began in March, this partnership is funded using USAID FY 2010 pipeline funds and financing from the Office of the U.S. Global AIDS Coordinator. Under the partnership, GRS expands its innovative program by utilizing soccer to deliver essential HIV prevention messages to the youth, facilitating access to HIV counseling and testing, and other vital services. GRS will engage with its private and public sector partners to ensure measurable impact on HIV-related knowledge, access to services, and ultimately, reduction in HIV infection rates within its target audience. In 2012, through the Skillz Health Initiative, GRS intends to benefit 32,000 at-risk youth in five provinces. 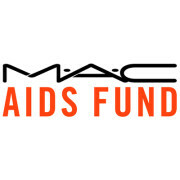 The MAC AIDS Fund makes grants to charitable nonprofit organizations worldwide that provide direct care, support, and assistance to men, women, and children who are living with or impacted by HIV/AIDS. There are four areas of funding priority: the link between poverty and AIDS; developing hospitals and increasing the number of doctors and nurses in countries that need it the most; developing peer-based programs to help people adhere to their treatment regimens; and prevention programs that focus on high-risk populations such as youth, people over 50, and African Americans. Established in 1994 by M.A.C. Cosmetics, the M.A.C. AIDS Fund supports men, women and children affected by HIV/AIDS globally. Introducing its first VIVA GLAM lipstick that same year, M.A.C. decided that every cent of the selling price of the VIVA GLAM lipsticks would go to the M.A.C. AIDS Fund. VIVA GLAM lipsticks are now sold worldwide, and MAC Cosmetics has provided millions of dollars for the M.A.C. AIDS Fund. The MAC AIDS Fund is the heart and soul of the company – with its employees giving their time, energy, and talent to help those affected by HIV/AIDS worldwide. M.A.C. Aids Fund has been dedicated to supporting bold and innovative organizations around the world that provide vital services and strengthen the safety net for people living with and affected by HIV/AIDS. To keep our grant-making relevant and responsive, we meet regularly with leaders in the field - our grantees, peer funders and the people working on the frontlines - to stay aware of emerging needs and trends and identify funding and service gaps. Every cent of the selling price of M.A.C VIVA GLAM lipstick and lipgloss is donated to the M.A.C AIDS Fund. Funding goes towards direct care, prevention, and global communities that also help to assist those fighting the HIV/AIDS virus including organizations worldwide that provide direct care services and essentials to those affected, as well as education, and prevention programs to support the elimination of prejudice and discrimination against HIV/AIDS-affected individuals. M.A.C. Cosmetics is currently the leading non-pharmaceutical corporate fundraiser for HIV/AIDS worldwide. Nike, Inc. is an American multinational corporation that is engaged in the design, development and worldwide marketing and selling of footwear, apparel, equipment, accessories and services. The company is headquartered near Beaverton, Oregon, in the Portland metropolitan area. It is amongst the world's leading supplier of athletic shoes and apparel and a major manufacturer of sports equipment, with revenue in excess of US$24.1 billion in its fiscal year 2012. As of 2012, it employed more than 44,000 people worldwide. The brand alone is valued at $10.7 Billion making it the most valuable brand among sports businesses. Nike markets its products under its own brand, as well as Nike Golf, Nike Pro, Nike+, Air Jordan, Nike Skateboarding, and subsidiaries including Cole Haan, Hurley International, Umbro and Converse. Nike also owned Bauer Hockey (later renamed Nike Bauer) between 1995 and 2008. In addition to manufacturing sportswear and equipment, the company operates retail stores under the Niketown name. Nike sponsors many high-profile athletes and sports teams around the world, with the highly recognized trademarks of "Just Do It" and the Swoosh logo. Comic Relief works all year round to help make the vision a reality. And in the years since Comic Relief started out in 1985, with the support of some remarkable people, Comic Relief achieved amazing things and raised over £1 billion. The mission of Comic Relief is To drive positive change through the power of entertainment. 1. Two big campaigns - Comic Relief raise millions of pounds, mainly through two big fundraising campaigns: Red Nose Day and Sport Relief. 2. Tackle poverty and injustice - Comic Relief spends the money raised to tackle the root causes of poverty and social injustice in the UK and across the world. 3. Raise awareness - Comic Relief uses the power and influence of the brand to raise awareness of issues where Comic Relief could feel can make the biggest impact. Over the years Comic Relief inspired a lot of people who don’t normally ‘do’ charity to, well, do charity. The support Comic Relief had from so many friends has always blown them away – and still does today. Comic Relief was launched from a refugee camp in Sudan on Christmas Day in 1985, live on BBC One. At that time, a devastating famine was crippling Ethiopia and something had to be done. That something was Comic Relief. The idea was simple – Comic Relief would get a whole bunch of much-loved British comedians to make the public laugh while they raised money to help people in desperate need. As well as doing something about the very real and direct emergency in Ethiopia, Comic Relief was determined to help tackle the broader needs of poor and disadvantaged people in Africa and at home in the UK. Comic Relief works tirelessly to support some of the poorest and most disadvantaged people in the UK and around the world as Comic Relief strives towards a just world free from poverty. The aim is to bring about real and lasting change by tackling the root causes of poverty and social injustice, rather than simply treating the symptoms. After all these years, the one thing Comic Relief knows is that when you give people the chance to live their lives with dignity, they invariably grab it with both hands. So, to drive this change, Comic Relief awards grants to incredible projects on the ground that work to give people a leg up, not a hand out. Comic Relief also goes beyond giving grants and use the brand and influence to do all sorts of other work that moves Comic Relief closer to thier ambition.